Have you ever dreamed of having a Japanese food restaurant? Have you ever dreamed of becoming the best chef? Serving & satisfy customer's appetite? Bigger, better, and more awesome! Realise your dream in Japan Food Chain. Play as a Japanese food restaurant owner trying to share happiness through good delicious food. Cook and serve delicious Japanese foods ranging from curry don, bento, to sushi and many more. Fast reflex, quick thinking and an appetite for famous Japanese foods is what it takes to play this game! Upgrade your recipes and restaurant, make it bigger and merrier! Now do you have what it takes to become a foodpreneur? 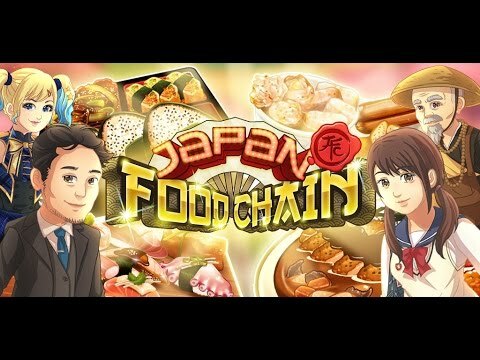 Test your skill in Japan Food Chain! Make the customer happy, beat your friends’ High score or help them to progress, the choice is up to you! - External storage access is used for caching video & save game purpose.